What is a Radiologic Technologist? 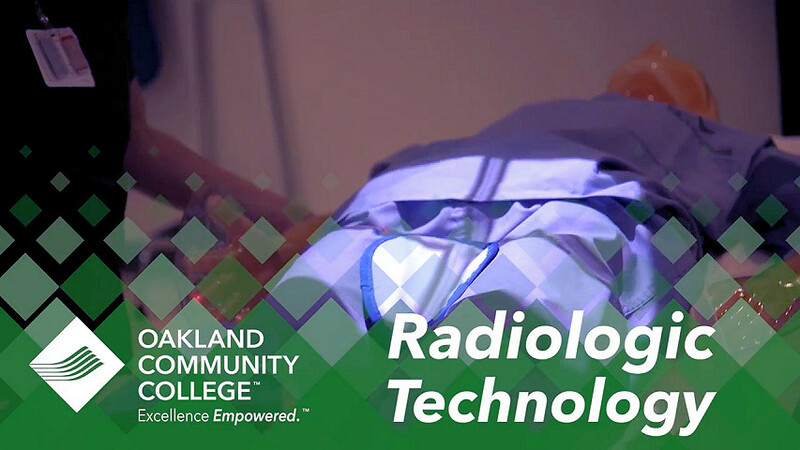 The OCC Radiologic Technology program at the Southfield Campus provides individuals with the necessary skills and knowledge to become a professional healthcare practitioner in an exciting and rewarding field. Leading to an Associate Degree in Applied Science the Radiologic Technology Program is an Extended Degree Program where students must complete a minimum of 73 or more required credit hours. The program prepares selected students through theory and clinical experiences to practice as a Radiologic Technologist in a variety of health care settings. The program has been accredited since 1991 by the Joint Review Committee on Education in Radiologic Technology (JRCERT). The median annual wage for magnetic resonance imaging technologists was $69,930 in May 2017. The median annual wage for radiologic technologists was $58,440 in May 2017. We also offer the opportunity for Registered Radiologic Technologists who do not currently have a college degree to enroll in the required supportive and general education courses as outlined in the college catalog. Applicants will be granted a degree upon successful completion of the requirements. Information sessions are highly recommended for any student who applies to the Radiologic Technology Program. Sessions last approximately 1 1/2-2 hours. This session will include a thorough review of the program requirements, didactic and clinical phases as well as requirements for success. Successful completion of the program requirements qualifies the graduate to apply to take the national credential examination offered by the American Registry of Radiologic Technologists. Upon successful completion of this exam, graduates are awarded their RRT credential.